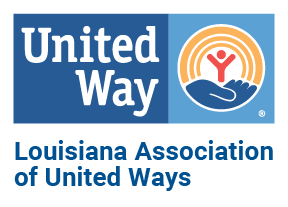 Sarah Berthelot, President/CEO of Louisiana Association of United Ways, and the CEOs of regional United Ways providing quotes (in addendum) are available for interviews. Berthelot will be hosting a tele-press conference at 10 a.m. Jan. 8, 2019. The press conference will include opportunities to interview Louisiana ALICE Research Advisory Committee members AND include a statement from someone who has been ALICE in Louisiana. 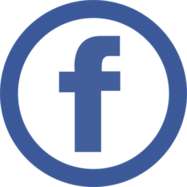 To join that press conference, call 415-200-1362 pin 1847760#. Baton Rouge, Louisiana – New research shows that in Louisiana, 828,255 households — 48 percent — could not afford basic needs such as housing, child care, food, transportation, health care, and technology in 2016, according to the ALICE Report for Louisiana released today by the Louisiana Association of United Ways, in collaboration with Louisiana United Ways. · As per the update, 48 percent of households struggle to afford the basic necessities and live below the ALICE Threshold — Nearly one in three (29 percent) of Louisiana households are ALICE and 19 percent live in poverty. The 2016 data increases the number of ALICE household by 6 percent while the percentage of poverty remains flat at 19 percent. This percentage represents 105,178 more ALICE households struggling to make ends meet throughout the state. · Households living below the ALICE Threshold make up between 27 percent and 75 percent of the population in every parish in Louisiana. (These households earn above the poverty level but below the Household Survival Budget.) Childcare, representing a Louisiana family’s greatest expense, averaged $996 per month for two children in licensed and accredited childcare. · Childcare, representing a Louisiana family’s greatest expense, averaged $996 per month for two children in licensed and accredited childcare — a $302 increase since our 2014 ALICE update, which reported an average cost of $694 for quality childcare for two children. As of this year, technology expenses (smart phones) are included in the ALICE survival budget. This expense was not included in previous ALICE budget calculations. · The newest ALICE data provides information for various family types for all 64 parishes, including married couple, single adult/one child, two adults/two school-aged children, etc. For all Louisiana ALICE data, visit https://www.launitedway.org/ALICE. The ALICE Report provides parish-by-parish and town-level data, and analysis of how many households are struggling. Stephanie Hoopes, Ph.D., based in New Jersey, is the director of the ALICE Project. She says the 2016 data shows that ALICE households across Louisiana are being squeezed even tighter. 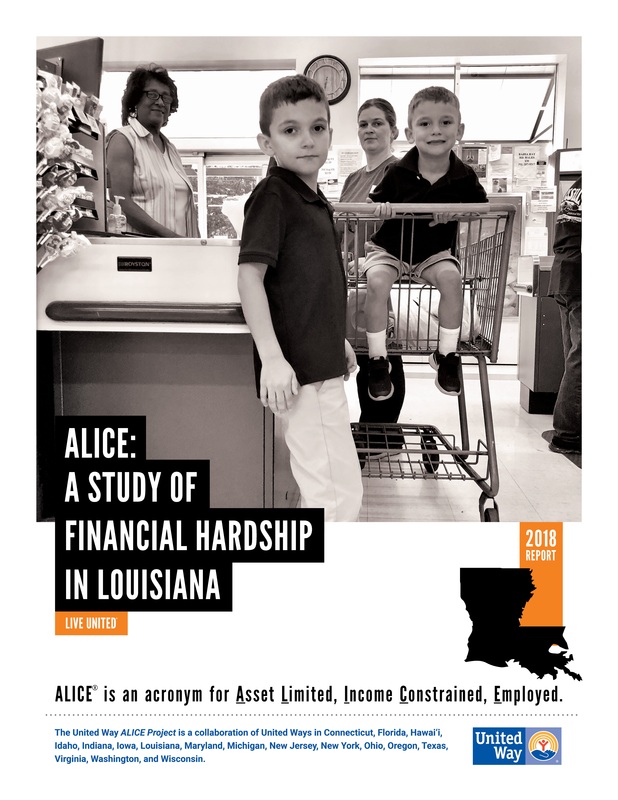 The ALICE Report for Louisiana provides high-quality, research-based information to foster a better understanding of who is struggling in our communities. To produce the ALICE Report for Louisiana, a team of researchers for the ALICE Project collaborated with a Research Advisory Committee, composed of 24 representatives from around Louisiana, who advised and contributed to the report. This collaborative model, practiced in each state, ensures each ALICE Report presents unbiased data that is replicable, easily updated on a regular basis, and sensitive to local context. Working closely with United Ways, the ALICE Project seeks to equip communities with information to create innovative solutions. The Louisiana Association of United Ways is an association of nine regional United Ways serving 53 parishes throughout Louisiana. 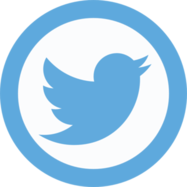 Our mission is to integrate action and resources for the common good. We work across our communities to tackle challenges that affect individuals, families and whole communities — challenges that are ultimately bigger than any of us and impact our entire state. We are part of a global network of more than 1,800 United Ways, servicing communities in 41 countries. “The challenges faced by hardworking, struggling community members are important to United Way of Southwest Louisiana. The ALICE Report clearly shows where our work is needed and we can be counted on for action because a thriving community requires all individuals and families to have access to a successful life.